It’s never too early for students to start thinking about their careers. Here at the Fulton Schools we have several opportunities for students to customize their college experience to best prepare themselves for future careers. From determining the right major for a student’s career goals to résumé and interviewing help to networking and meeting with potential employers, the Fulton Schools Career Center is a one stop shop for everything. Robin Hammond is the founding Director of the Fulton Schools Career Center. 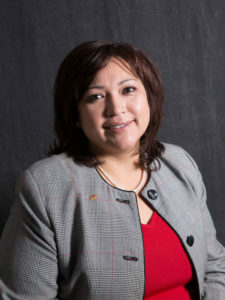 She is dedicated to helping students develop career-readiness skills and connect with employers offering exciting internship and career opportunities. Betty Boza is a Career Development Specialist for the Fulton Schools Career Center. Her primary responsibility is assisting online, graduate and doctoral students with all aspects of career development including résumé preparation, professional network expansion, effective job search strategies and mock interviews. She writes a monthly blog for Inner Circle for Online Students. Barbara Haney, Career Development Specialist, has brought her years of experience as an engineer and manager in multiple industries to assist students with career preparation. 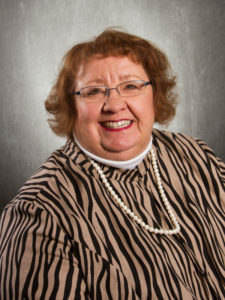 Her primary roles include coaching students on résumé preparation, providing mock interviews, and guiding students on identification of job opportunities. Debbi Howard, Business Relations Coordinator, came to ASU’s School of Biological and Health Systems Engineering four years ago after 14 years at the University of Arizona. She is responsible for connecting students with internship and job opportunities. Anna Wales is the Business Relations Coordinator for the Polytechnic School. Her role is to secure a menu of opportunities for industry partners to connect to students on the Polytechnic campus. She hosts business partners for tours and introduces them to interact with students through internships, eProjects, career services and research opportunities. She is a passionate Sun Devil and is dedicated to student success. Find more information about how to get in contact with the correct resources. Just as they’re starting their college careers, our Fulton Schools freshmen will have the chance to explore their futures at Career Exploration Night, October 17 and 25, 2017. At this event, students can conduct informational interviews with professionals who have the careers they want and see what they did in college to get where they are now. Joyce Donahue is a career counselor in the Fulton School Career Center. 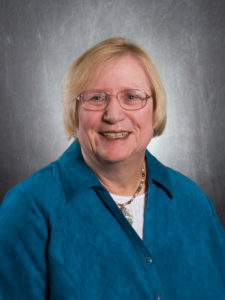 She is responsible for all undergraduate career development, with emphasis on freshmen programming including the two Career Exploration Nights in fall. She also writes Joyce’s Career Tip of the Week in Inner Circle. Each semester students and alumni have the chance to meet with employers looking to recruit from the Fulton Schools. Students can look for jobs and internships, as well as volunteer and serve as employer liaisons, which give additional networking opportunities. Students can find information about volunteering for career fairs through announcements in Inner Circle, and can learn about becoming employer liaisons from their student org leadership and advisors. Mark your calendars for the Fall 2017 Fulton Schools Career Fairs, September 12–14, 2017. This is an important opportunity for our students’ careers, so encourage them to attend! Staff have the opportunity to volunteer and help our students have a successful career fair experience. Faculty can attend the Dean’s Employer Welcome events before each career fair day begins to network with employers and recruiters and seek out industry collaborations. Students can also attend the ASU STEM Virtual Career Fair on Friday, September 29, 2017 and save valuable time and meet with recruiters live online from anywhere. Virtual Career Fair participants will also be entered to win an Amazon gift card. 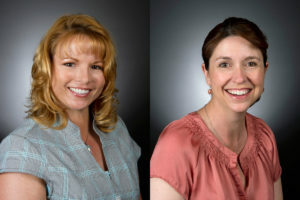 Cher Stevens and Lauren Majure are Employer Relations Coordinator Seniors. Lauren works with employers whose names begin with the letters A–L and Cher works with employers M–Z. In addition to leading the fall and spring career fairs, they guide employers on effective strategies for recruiting engineering students to fill full-time, internship, and co-op positions. They also support the Fulton Schools’ mission by advancing employers’ engagement opportunities and educational partnerships. Advanced degrees can give students a leg up in the job market, and the Fulton Schools provides a great opportunity for students in 20 degree programs to get accelerated bachelor’s plus master’s degree as part of the 4+1 program. It’s a cost-effective way for students to gain additional technical depth and specialization that can lead to broader career opportunities as well as preparation for doctoral studies. To learn more about the 4+1 programs and to apply, please contact the appropriate advising department. Classes and projects offer students great experience to put on their resumes, but internships and cooperative education programs can give practical work experience. Internships are usually one summer of supervised work experience related to a student’s chosen career field. The Cooperative Education Program (co-op) is a longer-term commitment of a summer-fall or spring-summer, or that alternates semesters of formal classroom education with major-related practical work experience. These are paid opportunities that help students’ professional, personal and skill development. Experiential learning is key element to an engineer’s transition from school-to-work. Internships are run out of each school. Cooperative education is overseen by Mike Radoccia, Career Development Specialist. Mike coordinates the Co-op program at Fulton Schools Career Center. He has a background in industry and engineering. After retiring, he joined the staff part-time at the Fulton Schools Career Center to implement a structured Co-op program. The Co-op program is flexible for both students and industry. Mike’s goal is to help engineers transition from school-to-work, whether it is through a Co-op or internship assignment, experiential learning is a key part of that transition.